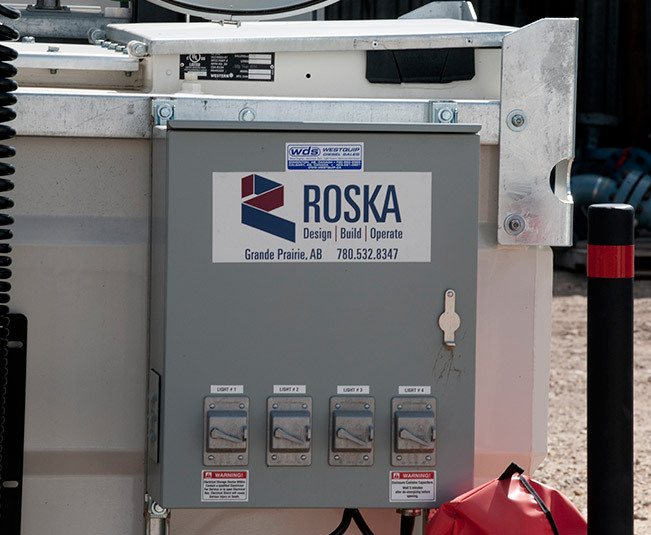 Rental 60 kW Diesel Generator Sets with Light Tower - Roska DBO Inc. This all-in-one solution provides skid-mounted temporary site power plus a light tower delivering [X] square feet of illumination and its own on-board fuel supply. The fuel cell includes containment. This unit is quiet, easy-to-operate and fuel-efficient. A nice combination of power and lighting.